The topic of peer reviewed journals does not typically feature in a busy fruit trading environment. Yet if you are keen to understand where tomorrow's fruits & vegetables trade might head or if you want to influence just exactly how the fruit trade future will evolve, you will have to engage sooner or later with journals advocating new knowledge. Wikipedia is in many cases not the most approriate way to educate oneself, but this article on the concept of peer review is a pleasant exception to the rule. Peer review has two applications within the fruits and vegetables trade. The first scenario relates to on the job decision making which requires that the professional opinion a manager expresses needs to be validated or confirmed. An example of that situation is the fruits & vegetables quality process assurance process. Companies providing professional advice about the quality of, say, a shipment of bananas, know that there are often six digit $ sums riding on their opinion and professional determination. Before a decision is therefore released, it is checked by one or more experienced colleagues to ensure it is valid. Two pairs of eyes are good...having a third pair in play is better. The same principle, by the way, is now being used in major sporting fixtures, where the referees on the ground are supported by a video referee who is able to assess the game from a totally different perspective. The second scenario relates to peer reviewed journals. These are almost always academic in nature. Before you switch off here because you have read the word "academic", please consider this.... It does not matter which industry one forms a part of, industry participants can almost always be segmented into those who are predominantly operators and those who are predominantely thinkers. True progress occurs when operators and thinkers cooperate. Peer reviewed journals are a true and tested mechanism through which academics with an interest in the fruits & vegetables trades communicate their ideas and research findings. Fruit trade operatives with an eye on the future need to tune in and engage in critical dialogue. I have listed links to three such journals with relevance to the fruits & vegetables trade here. I will add to that list from time to time. 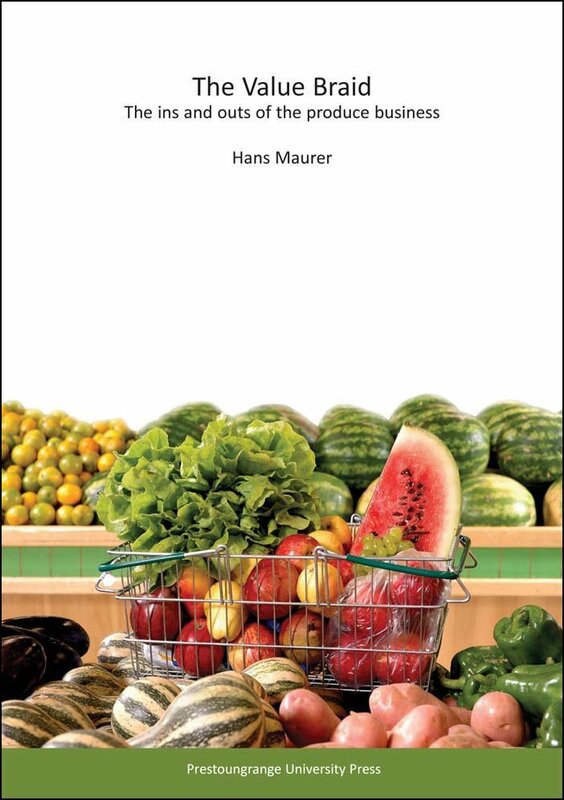 It is important to understand that academci thought pertinent to the fruits & vegetabls trade will not just be published in topic dedicated Journal, for example, the Journal of Applied Horticulture, but can also be found in Journals covered a specific discipline on a broader level;i.e., the Journal of Supply Chain Management.